As the population of the Indian community in Tampa Bay Metropolitan area has grown over the years, so has the need for our community infrastructure. 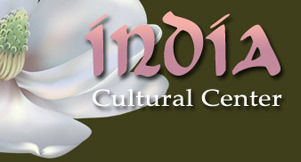 Apart from providing enduring support for the Indian Community, ICC Tampa has created two community facilities - Magnolia Hall and Lotus Gallery. These facilities serves a place not only to bring the local Indian community together, but to introduce Indian culture and heritage to the local mainstream community as well. Today, ICC Tampa represents the culmination of these efforts, and operates one of the largest India-focused cultural center in North America. ICC has been fortunate to receive broad support from the community. Community leaders have provided their advice, time and energy, and their funding to back the project. ICC is determined to create a place we can all come together outside of work and home, and become something we can all be proud of and share. Help us achieve this dream by participating in activities, volunteering, contributing or sharing your thoughts with us. ICC Tampa was founded by Two Tampa doctors, one from Zambia and one from India, demonstrating through their generous donations of time and money that health, education, arts and cultural diversity are treasures to be cherished and shared. Born in Ahmedabad, India, Pallavi Patel (“Dr. P” as she is most often called) and the Zambia-born Kiran Patel ( or “Dr. K”) first met while studying medicine in Hyderabad, India. Upon completion of their degrees, they married and began their new lives and medical practices in Zambia. There, the two practiced medicine for five years before leaving for the United States in 1976 on Thanksgiving Day. (They did not know the significance of the day until their relatives told them.) But their story did not end that Thanksgiving Day – in fact, it was just the beginning. After some years working in the U.S., and having grown their individual medical practices to a high level of professional and financial success, the Patels took over a troubled HMO in the 1980s and turned it into one of the most successful healthcare companies in America. That success attracted large national companies interested in acquiring their HMO, and – after a period of intense negotiations – the Patels sold their company at a 9-figure profit. At that point, they could easily have retired in luxury, never needing to work another day in their lives. Yet the Patels demonstrated that they were not only accomplished physicians and entrepreneurs but, more importantly, were eager to share their good fortune with those less fortunate. And thus began a new story, a story of giving thanks by giving to others. Expectably, many of the Patels’ early charities helped the Indian community, both at home and abroad. They were responsible for a 40-bed hospital for the poor in Dr. K’s native village of Mota Fofalia, India (built in memory of his father), and an Arts College named for his mother. The Patels visited the earthquake-torn Bhuj District with Former President Bill Clinton and were instrumental, with support of the Tampa Bay community, in raising $300,000 to help rebuild Gujurat. With the support of the American Association of Physicians of Indian Origin (AAPI) – an organization for which he was president, Dr. Patel rebuilt 4 hospitals in India. Support was offered for plastic and reconstructive surgery camps to correct physical deformities of the lepers and assist them in becoming self-sufficient by providing bicycles, sewing machines and other tools of trade. The Patels organized clinics in rural parts of India to provide the kind of screenings and health care that is commonly taken for granted in the U.S. Currently, the Patels fund HIV studies, hospitals and schools throughout India. 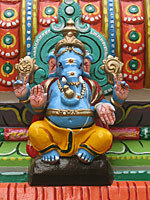 In Tampa, they have been the driving force behind the construction of the uniquely beautiful Hindu Temple and the Indian Cultural Center, as well as the many cultural festivals it hosts. But their thanksgiving has extended farther, reaching into many areas of their adopted country of America. 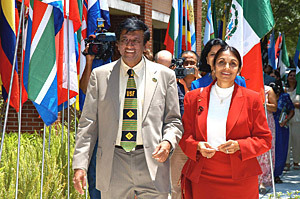 In 2001, the Patels founded the Hope Scholarship Program, which has awarded college scholarships to over 100 at-risk students. Additionally, they partnered with the University of South Florida, where Dr. K was appointed to the Board of Trustees by Governor Jeb Bush, to fund and build a charter school and pediatric clinic for at-risk children on the USF campus. Most recently, Dr. K made a multi-million dollar donation to the Tampa Bay Performing Arts Center’s School for the Performing Arts capital campaign. In honor of his donation, the school will be named after his wife, Dr. Pallavi Patel.